Disclaimer: I am in no way shaming any body type at any time in this post. If anything comes off as that, I sincerely apologize. I am just trying to get the other side of the body shaming spectrum’s story told since no one ever remembers or realizes it happens and is just as painful. Hold onto your hats guys – it’s about to get real on this post. Body shaming. First thing that comes to your mind when you see those two words is probably shaming those for being too big, right? Most likely so. You probably don’t think of those who get shamed for being petit in size, correct? Well, I’m here to let you in on a little secret from a petit girl who also happens to be naturally skinny: We get shamed on a constant basis. And yes, it is equally as offensive as being called “fat”. Why? Because we are NOT anorexic, and that is the word every person I know who is petit like me, has been called. “You should eat more”, meanwhile I’m a healthy weight for my body type. I’m not 5’11” and I won’t be 150 pounds by nature and genetics. I am 5’3″. There is just no way that a healthy 5’11” women’s body weight will be a healthy weight for a woman my size. I was on twitter today and people were shaming women for wearing sizes that are either XXS, XS, or Small. At a lot of locations where I shop, I can barely fit into those 3 sizes. Believe it or not, an XXS can strangely be waaaay too big. Then again, this is the problem with shopping for women’s clothing: every single location has different measurements for their sizes. I’m from Canada and there is a Montreal based store called Dynamite and I would have to say that 90% of the time I go shopping there, the XS size is huge. In our society, we got so caught up with defending women who were being shamed for being bigger and curvy, that we learned that it’s apparently okay to shame someone because they are skinny. Now, I’m not saying that we should have never defended women who were shamed for being bigger. What I’m saying is, it doesn’t make it okay to shame the opposite end of the spectrum. Human beings some in all shapes and sizes and no one size is better or worse than the other. This is completely off topic but it is kind of like the education system – Trying to stuff different working minds to learn in one, specific way when in fact, no two people learn things the exact same way at the exact same pace. It’s unfair to stuff human beings into one category and say “this is the one and only way it will work”. I understand that for a very long while (and still today), the fashion industry has focused heavily on being skinny and that is the root of where all the negativity comes from. 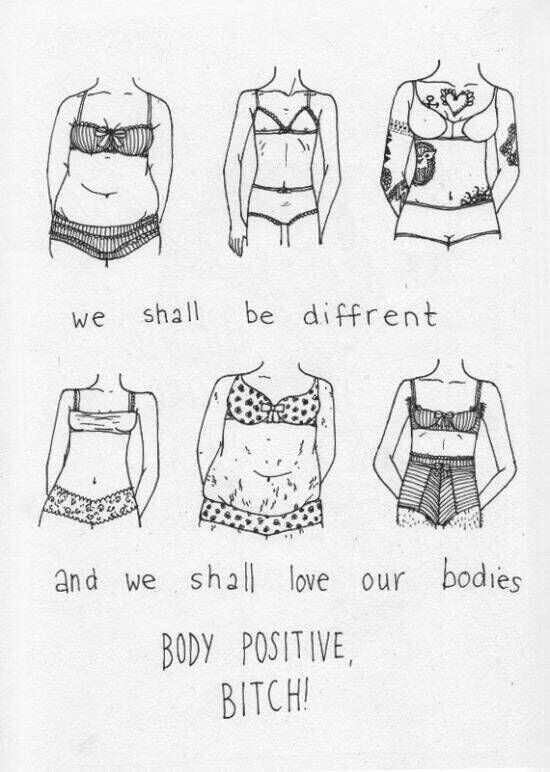 Times are changing and so are body views. But just because bigger bodies are now being accepted by some of the industry again, does not mean that being small and skinny is a bad thing or an unhealthy thing. There are times where there will be underweight people who are obviously unhealthy, but skinny does not equal “sick” or “disgusting”. We as women should start looking at smaller sizes as a means for very, very small women to finally have a chance to wear WOMEN’S clothing instead of children’s clothing. Looking at a POSITIVE aspect to smaller clothing just may start a new wave of positivity in other women’s lives and a new positive way of thinking in the fashion industry. Focusing on that may help young women realize “Oh, that size of clothing didn’t come out as a sign for us to lose more weight, but rather for smaller women to have the chance to wear age-appropriate clothing instead of children’s sizes”. I know it’s a long shot, but focusing too heavily on the negative sometimes ruins what good can come out of a certain situation. So next time you want to call a healthy, petit woman “anorexic” and tell her to “eat more”, remind yourself that: 1) She’s most likely healthy already, 2) Saying that is just the other end of the spectrum of “fat” and “eat less”, 3) Human beings come in all different shapes and sizes, so one size does not in fact, fit all. Thanks for taking the time to read this, and I sincerely hope this opened some people’s eyes to a whole different perspective. “Don’t dress for your weight – Dress for your body type”.